Announcing the latest addition to Jacuzzi’s social media presence; the Luxury Bath Blog will serve as a resource center for both new and potential Jacuzzi bath customers. The Jacuzzi Luxury Bath Blog offers a variety of helpful material on topics ranging from bathroom remodeling tips and design trends to product information and announcements. Labeled as a ‘one-stop shop for everything you need to know before, during and after you remodel your bathroom or have purchased your Jacuzzi bath product’, the new blog offers a powerful and effective way for Jacuzzi to not only promote their bath products, but to add something of value to their readers; in this case, bathroom remodeling advice. 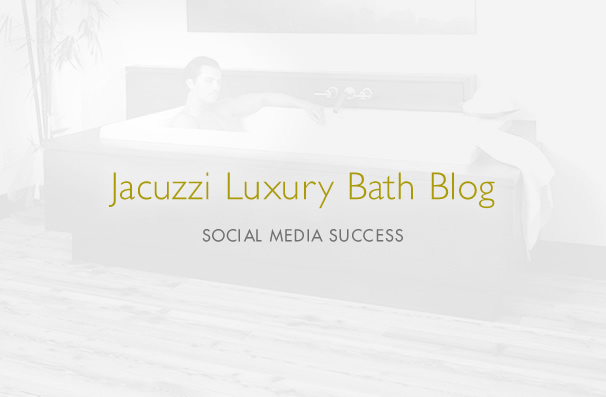 The Luxury Bath Blog is just the latest addition to Jacuzzi’s social media presence. In addition to this recent release, Ninthlink is proud to have been involved in the design and launch of the Jacuzzi Hot Tubs Blog, as well as Jacuzzi’s other official social media profiles; including Facebook, Youtube, and Twitter.